Retail Shopping Center Development Investment opportunity is now available starting as low as $50,000! Retail Centre Development is in the emerging area of Thembalethu, Cape Town, South Africa. Find out more about this and other investment opportunities in Cape Town, South Africa. 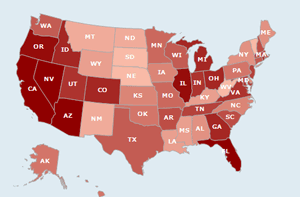 Foreclosures are up in the U.S by about 65% from a year ago. Today’s mortgage meltdown is an investor’s opportunity to generate revenue by investing in real estate foreclosure properties. This is the best way to buy low, sell high, and walk away rich. REO Investment Group provides a 100% Turn-Key REO/Foreclosure System that provides properties at pennies on the dollar that are free and clear of any liens, in livable condition, under a 100% fully managed system. An REO house means real estate owned by the bank. Also called a bank foreclosure, this frequently happens once a home owner defaults on a mortgage, forcing the bank to buy the house back at a foreclosure auction. Buying REO houses can be very profitable and a great way to get a deal on a new house, vacation home, or investment property, and you can easily buy REOs at pennies on the dollar through REO Investment Group. Our system is designed for the average real estate investor that wants to build wealth and generate positive cash flow. And it's not just about getting car or student loans and credit cards anymore. Decisions about your mortgage rates, insurance prices and even employment are now based on your credit score. If you are thinking about credit repair because you have bad credit, have been denied credit, would like to lower your interest rates, or would simply like to remove inaccurate information from your credit reports, then our credit repair services can help you repair your credit. Our foreclosure loss mitigation services help stop foreclosure regardless of your circumstances. It may be hard to believe but the fact remains, ultimately, your lender does NOT want to take your property. YOUR LENDER JUST WANTS TO GET PAID! Finding a way to work with your lender is the best means of avoiding foreclosure on your home. Our experience and expertise allows us to work directly with your lender using the most appropriate Loan and Mortgage Modification program to stop foreclosure regardless of your situation. REO Investment Group provides a 100% Turn-key REO/Foreclosure System that provides properties at pennies on the dollar that are free and clear of any liens, in saleable condition, under a 100% fully managed system for the local and international investor. That’s right! You own the property outright with no mortgage payments and you do not have to manage it. Our REO/Foreclosure system also provides solid exit strategies with positive cash flow. If you want to secure your financial freedom through real estate foreclosure investing and multiply your money exponentially…this is the real estate investing program for you! Our company is exclusively for the passionate investor! 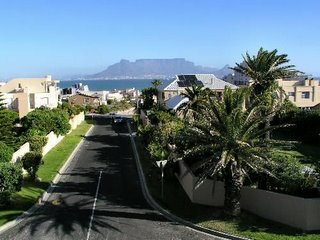 Cape Town is the ideal vacation and holiday destination throughout the year. It has a warm summer and temperate winter climate, friendly community, rich architecture, cuisine, music and dance. Cape Town has magnificent seascapes and panoramic views including the coastal areas of Camps Bay, Clifton, Llandudno, Bantry Bay, Hout Bay and Blouberg and is near the Winelands of Constantia, Stellenbosch, Paarl and Franshhoek. Copyright © 2012 REO Investment Group All rights reserved.